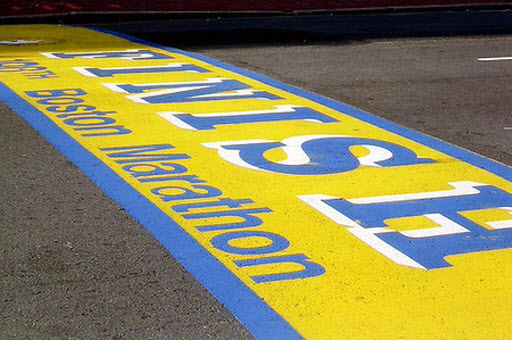 A marathon is a fitting metaphor for a lot of hard things we do in our lives. A marathon runner trains by getting up every morning without fail and putting one foot in front of the other, day after day after day. That is what leads to success. Not good luck. Success is starting the race and crossing the finish line. It’s not measured relative to anyone but the runner themselves. Investing is a marathon. Some days it’s hard to keep going, but progress is only made by hanging in there, moving forward one step at a time and not giving up. Horrific acts can demoralize us all. They sap our strength and make us feel like there’s no point in moving forward. But that is when we have the marathon runners to remind us. Keep putting one foot in front of the other and you’ll make it to where you are going. Our hearts go out to those who were hurt yesterday. They will be a constant reminder that sometimes the going gets really tough. But success will come to us all as we endure. The senseless acts to demoralize only make us stronger as we collectively share in the outpouring of compassion and resolve that rushes in to combat the horror. Our thoughts and prayers are with all of you in Boston. Thank you for reminding us again that sometimes just to keep moving forward is a big accomplishment.